September 26th 2017. 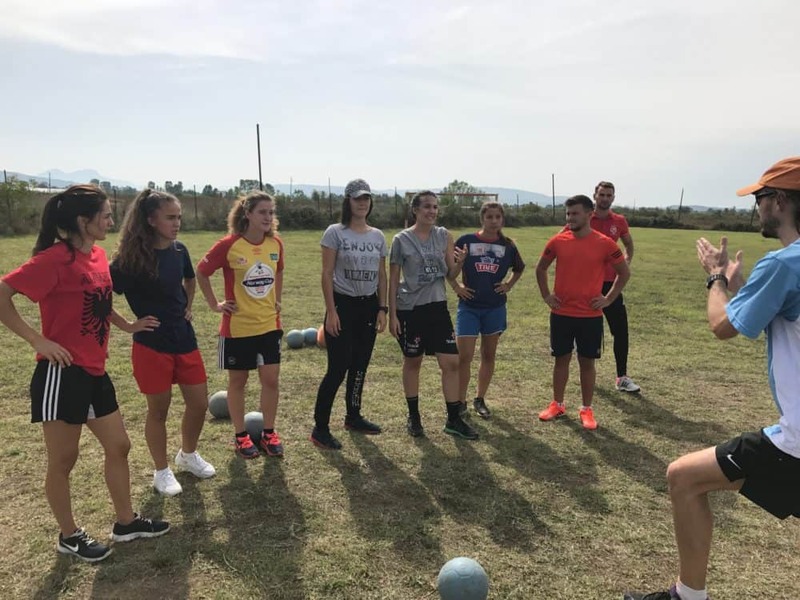 Michael Johnson Young Leader Jamie Tomkinson wrote about working with CAC and The Door Albania in Shkoder, Albania. 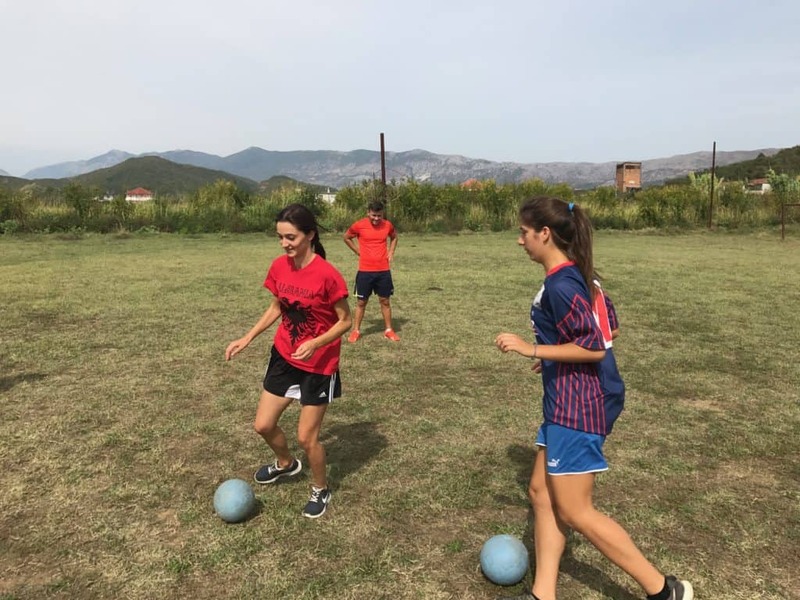 Our week in Albania was both an experience and a program I learnt a lot from and won’t forget in a hurry. We were living on a farm and were very much back to basics with no internet and being a 45 minute walk from the nearest city. Having grown up in the heart of Edinburgh, a busy capital city, this was a new experience for me entirely. We became accustomed to seeing 6 dogs, 4 cats, geese and even the occasional donkey just wandering past. I didn’t even need an alarm clock for the first time since I was kid, thanks to our friendly but noisy rooster family. And who needs a TV when you’ve got 6 dogs? They were a constant comedy show! We also had lots of fun On-Field. 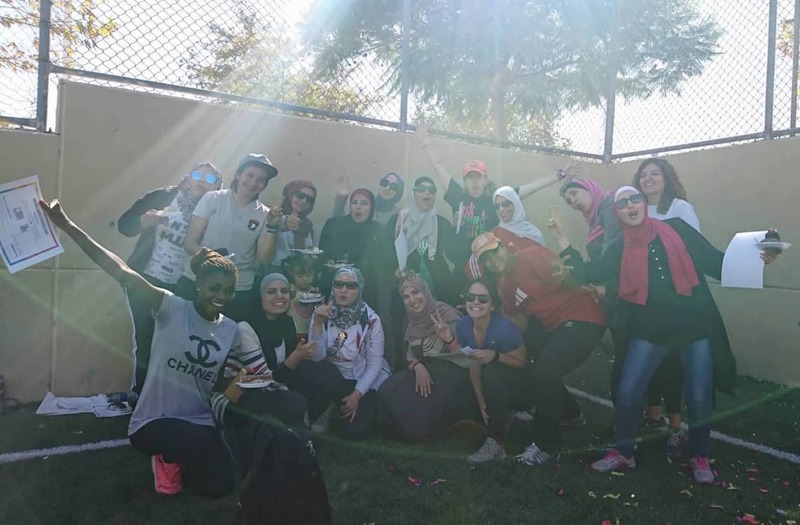 As this was a year 3 program, the participants who had been before already had a great understanding and knowledge around the games and knew what types of things to expect. We had a small group who were engaging and wanted to learn. 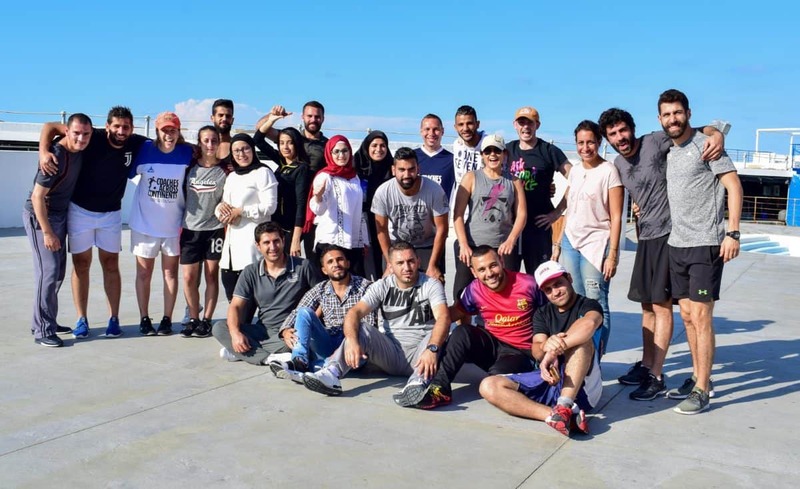 My personal highlight from the week was giving them the time and opportunity to create their own games using their experiences and past knowledge of the previous two years, and then each of them delivering it to the rest of the group. It was encouraging and rewarding to watch them all give positive and constructive feedback to each other after delivering some great games. 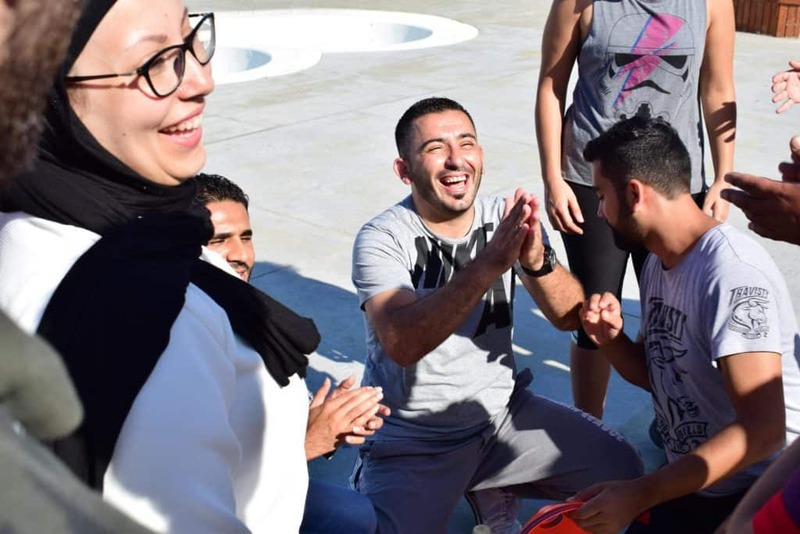 It was evident that this 3 year program has had an impact on these people, they were open-minded about the various social issues we discussed and had a real desire to make a difference in their own communities, using sport as a vehicle to do so. July 5th 2017. 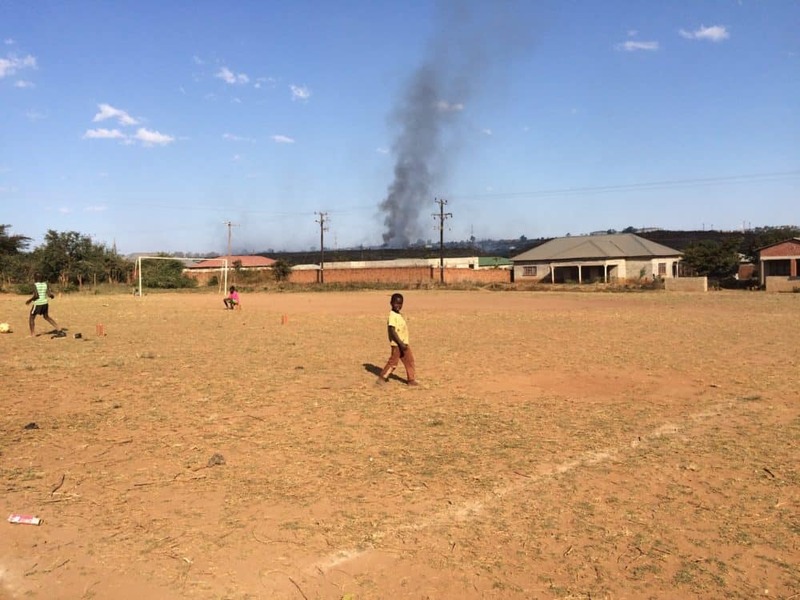 Global Citizen JK Cho writes about working with the Banda Bola Foundation in Chituka Village, Malawi. In case you have ever asked yourself what the world would look like if people just be nice to each other, I got an answer: it would look a lot like Malawi. With a nickname of The Warm Heart of Africa, Malawi is a tiny country located in Southern Africa. Living up to its “notorious” nickname, Malawians are so friendly and loving they are known for always being willing to help family, friends, and even a stranger. In fact, the welcomes, the meals, and the human interactions that I got here were so warm and earthy, and I certainly have been spoiled by them. I mean I was going to do my laundry at the community well for the first time in a month. And then a neighborhood guy on a bicycle sees me, stops on the road, throws his bicycle off, and starts helping me like my house just caught fire. It’s just another lovely day in Chituka village in Malawi. 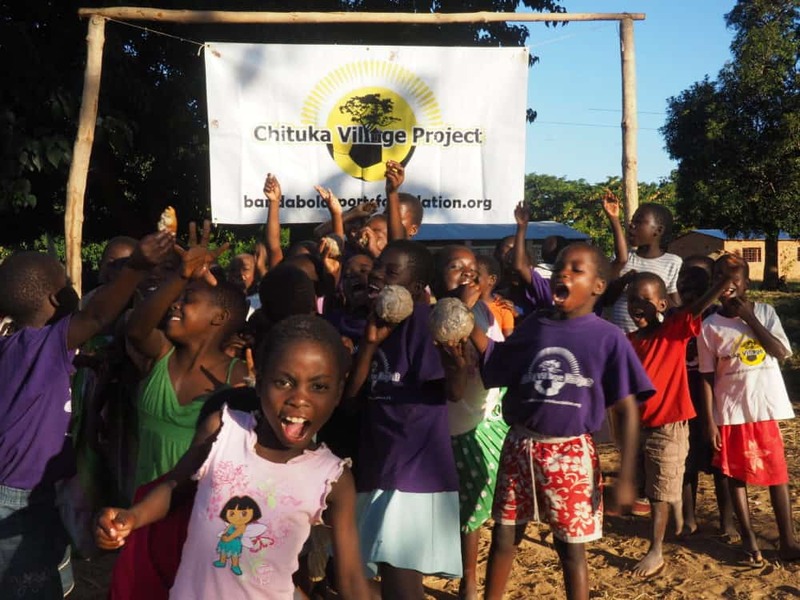 Chituka village is the hometown of CAC’s Malawi partner, Keni Banda and the Banda Bola Foundation. Keni moved to the States from Malawi when he was 14. And, he played and coached soccer professionally. 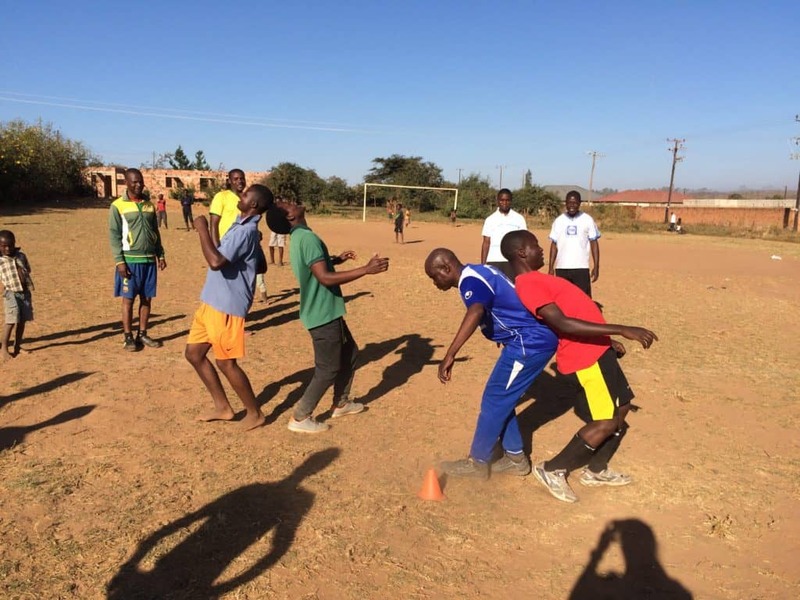 After decades of a successful coaching career in U.S. NCAA women’s soccer teams, Keni founded Banda Bola Foundation in 2010 and launched Chituka Village Project to bring social changes in his hometown area in Malawi. As much as he has an inspiring and passionate personality, breaking into chants of “Solve Your Problem!” and “Let’s Figure It Out!” multiple times a day, he is also a funny and kind guy like your typical favorite uncle. His family in Malawi are all deeply involved in social impact as well. His sister, Sekani, is a board member of Banda Bola Foundation and an aspiring social worker. Her two sons, Manyanda and Patici are also passionate about social entrepreneurship. I thought it was very interesting that Manyanda is a social impact music producer going into rural villages with artists, listening to the village people’s issues, and turning them into beautiful songs (Check out Amplified Movement – Bring Them Back on YouTube). The Banda family provided incredible cooperation, food, accommodation, and friendship during the two-week schedule in Malawi. Team Malawi was comprised of two amazing veteran coaches, Charlie C. and Ashlyn, and two Global Citizens including Charlie O. and me. Besides me, they all were collegiate soccer players. 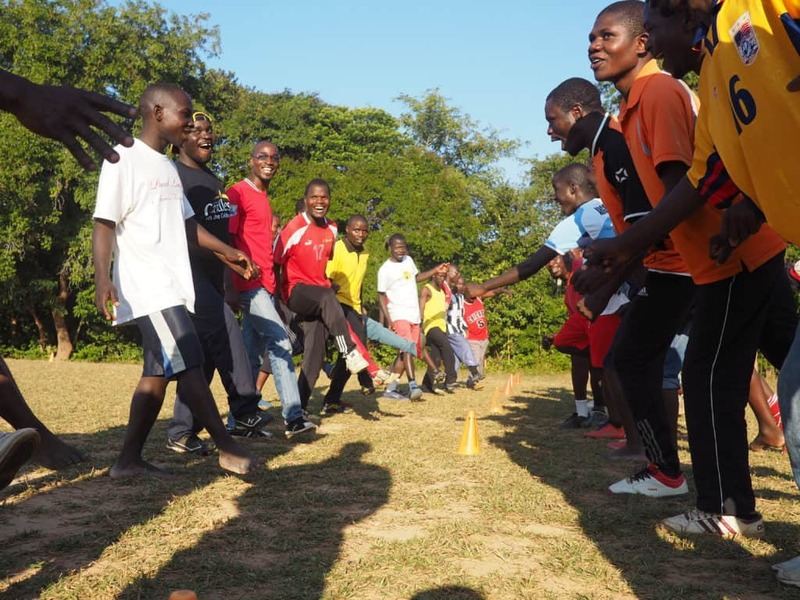 After their athletic careers, they joined CAC to contribute to making the world a better place, using soccer as a messenger. Although they sometimes made a fun of my soccer skill, I loved the team very much for making such good balance and harmonious vibes. Charlie O. even suffered from Malaria in the first week, but he completed the schedule with a smile on his face the whole time. When we arrived at Malawi, it didn’t take us more than two days to find out that corruption and power abuse are the major social issues that Malawi had been facing. Radio and newspapers constantly reported about corrupted politicians and nonsensical policies. People gave a sigh of resignation about losing precious natural resources to foreign corporations as well as jobs to those who got power and connections. Limited access to education coming from poverty also seemed to be a serious and urgent issue. 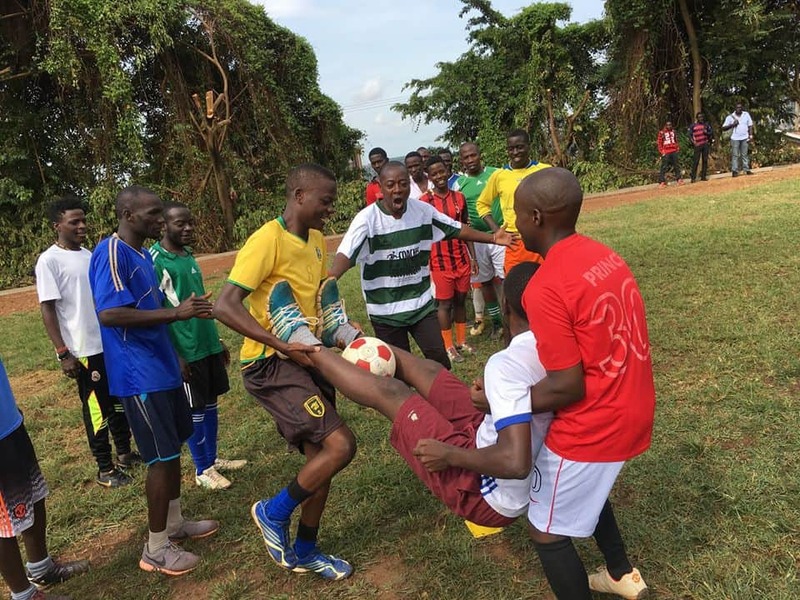 The CAC team and Banda Bola Foundation agreed to focus on addressing those issues during the training sessions, with openness to listen to participants own social concerns. The training week was fantastic. We had 64 participants from 33 organizations, which was considerably more than I had expected. Not only that, it was remarkable that 19 of them were female, marking about 30% of the total participants. 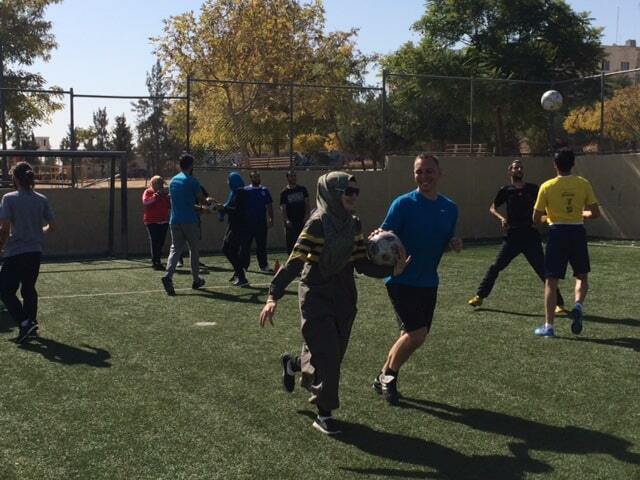 The participant mix consisted of local teachers, sports coaches, social workers, and volunteers. We delivered lots of games related to gender equity as well as child rights and democratic conflict resolution style (anti-corruption). The participants quickly understood the program and started using their voices to express their own colorful opinions. Keni supported the participants not only by providing an amazing training venue, great snacks, and transportation money but also inspirational speeches. At the end of the training week, I observed participants embracing the importance of Self-Directed Learning and looking to incorporate it into their teaching practices. We estimated a total of 4346 children (2129 girls and 2217 boys) would benefit from the program immediately. Moreover, we anticipated a lot of these girls and boys would become Bonda Bola Foundation volunteers after graduation and transfer the impact to younger children, multiplying our impact radically in future years. One of the random facts that I came across when I did research on Malawi was that, out of Madonna’s 6 children, four of them are adopted, and all of the singer’s adopted kids were from Malawi. She also has put on many concerts and events to raise global awareness towards Malawi’s social issues. After experiencing Malawi for 2 weeks, I now could understand why the singer has been so married to this tiny country: Malawians are incredibly loving and warm-hearted. The capacity of their love is so big that I want to have them around me all the time. Well, although I’m not a superstar singer, I now have a Malawian family in Chituka village. Hoping to come back to this beautiful place some day, I said goodbye to the warm heart for now and departed for Kenya. June 30th 2017. CAC Global Citizen Kimaya Cole blogged about our partnership with Watoto Wasoka in Kampala, Uganda. Traveling away from the roosters and fresh fruit in Ndejje, we found our way in the roaring streets of Kampala. Very quickly we learned that once the thick, gray cloud moves overhead and drops a few raindrops, it’s time to run for cover to escape the heavy down pour that will soon be upon us. Fortunately, the storm only lasts about twenty minutes, and despite the newly formed mini mud rivers in the streets, the town resumes their hustle and bustle. 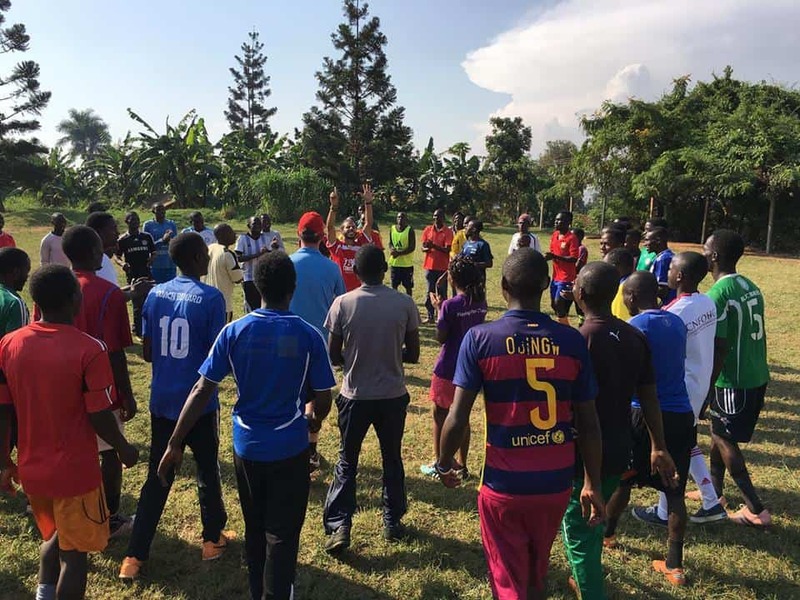 Our partnership with Watoto Wasoka would kick off the first year program in Kampala, Uganda and I was excited and ready to start coaching games on my own. But, I was not prepared for how much of an impact the participants would have on me. While hearing their answers and explanations to one another, I found myself being challenged as well. One woman in particular was very tiny, but her voice was powerful. She was not afraid to stand up for herself and the other few women there, reinforcing that women are just as strong and capable as men. Without even knowing it, she inspired me to have more confidence in my voice and abilities as a woman and encouraged me to take advantage of the opportunities I have as a global citizen to try and make a difference – whether that is in the world or just impacting one person in my community. I had an amazing, unforgettable time in Uganda as a first time CAC global citizen. Since it was my first time traveling outside of the United States, and especially to a low income economy country, I had no idea what to expect, nothing to compare my experience to. And even after having time to digest my weeks in Uganda, I still cannot fully describe all of my emotions. Besides the periods of no running water and unreliable electricity in our hotel, most importantly, I will miss the people – how they are the real life “energizer bunnies,” never getting tired, always ready for the next task, how they fed me food until I couldn’t possibly take another bite and then proceeded to look at me as if I barely ate anything, and how they welcomed me into their home and country with open arms. I am leaving Uganda with opened eyes, a full stomach, and a happy heart. All I have left to say is: “Webale Nnyo” (Thank you very much)!